Flower arranging has never been simpler or more enticing. The women behind Studio Choo, the hottest floral design studio in the country, have created a flower-arranging bible for today’s aesthetic. Filled with an array of stunning, easy-to-find flowers, it features 400 photos, more than 40 step-by-step instructions, and useful tips throughout.The arrangements run the gamut of styles and techniques: some are wild and some are structured; some are time-intensive and some are astonishingly simple. Each one is paired with a “flower recipe”; ingredients lists specify the type and quantity of blooms needed; clear instructions detail each step; and hundreds of photos show how to place every stem. Readers will learn how to work with a single variety of flower to great effect, and to create vases overflowing with layered blooms. To top it off, the book is packed with ideas for unexpected vessels, seasonal buying guides, a source directory, a flower care primer, and all the design techniques readers need to know.Alethea Harampolis and Jill Rizzo are the founders of Studio Choo, a San Francisco-based floral design studio that serves up fresh, wild, and sophisticated flower arrangements for any occasion. Their work has been featured in publications such as Sunset, Food & Wine, and Veranda and in the blog Design*Sponge. 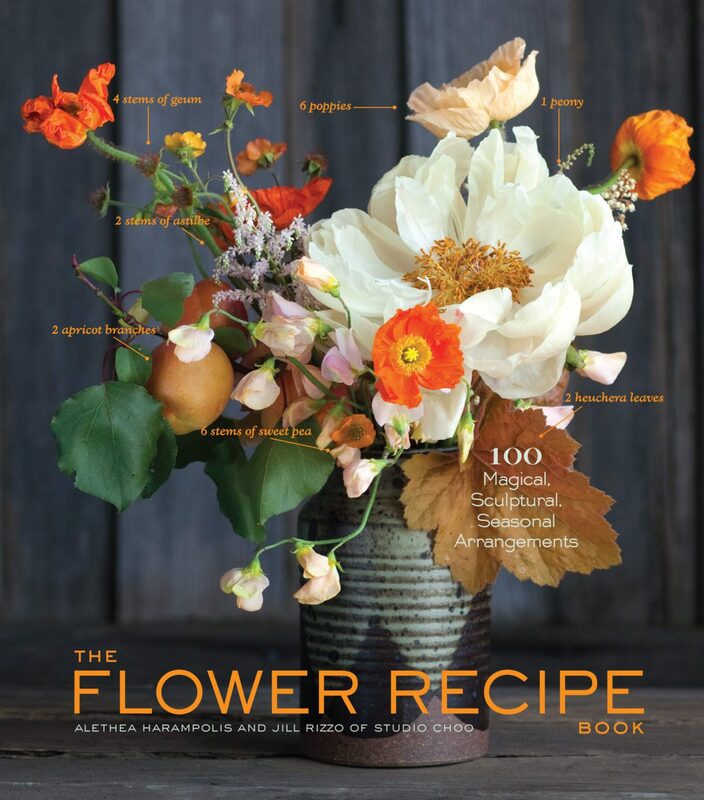 Alethea Harampolis and Jill Rizzo are the authors of The Flower Recipe Book and founders of Studio Choo, a San Francisco–based floral design studio that serves up fresh, wild, and sophisticated flower arrangements for any occasion. Their work has been featured in the New York Times, Real Simple, Redbook, Country Living,and Brides; in their guest column on Design*Sponge; and on lifestyle sites like Apartment Therapy, Kinfolk, and Remodelista.